You may have had one of those grandmothers who swore by Apple Cider Vinegar (ACV) to cure everything from hiccups to the common cold. And, each time you sneezed and she went running for the bottle of ACV in the kitchen, you may have rolled your eyes and hid somewhere. Well, it turns out your grandmother was right all along. ACV has been used for thousands of years to treat all sorts of ailments and diseases. 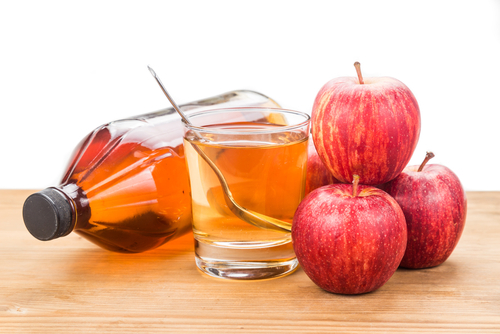 In this post we’ll take a look at 3 ways ACV can benefit your health and the health of your family. ACV has been shown to benefit patients with type 2 diabetes. Type 2 diabetes is characterized by elevated blood glucose levels, either because of insulin resistance or an inability to produce insulin. But elevated blood sugars can be an issue even in people who don’t have diabetes and can lead to aging and various chronic diseases. So, with this said, it’s a good idea for everyone to ensure they keep their blood sugars nice and stable. One of the most effective ways of controlling blood sugar is to limit your intake (or avoid altogether) refined carbs and sugar. But incorporating ACV into your diet is also recommended. It improves insulin sensitivity during a high-carb meal by 19-34% and significantly lowers blood glucose and insulin responses. 2 tablespoons of ACV before bedtime can reduce fasting blood sugars by 4%. As we’ve just discussed, ACV helps the body lower blood sugar and maintain insulin levels, so it makes sense that it could help a person lose weight. Studies have shown that ACV can make you feel full so you eat less. Less calories in, more fat burned. A study of obese individuals who consumed ACV daily led to reduced belly fat, waist circumference, lower blood triglycerides and weight loss. Having said this, though ACV can help with weight loss by making you feel full and lowering glucose and insulin levels, it is not a miracle elixir. Taking ACV should be part of an overall weight loss plan that includes eating whole foods and exercise. Heart disease is one of the leading causes of death in the world. Health expert have identified several measurable biological factors that either promote the decrease or increase of cardiovascular disease. Studies conducted on rats have found several of these risk factors have been improved by the consumption of ACV. It is believed ACV contains the antioxidant chlorogenic acid, which has been shown to protect LDL cholesterol particles from being oxidized, an important step in the development of heart disease. And, some studies have shown ACV’s ability to lower blood pressure in rats. While human studies will have to be conducted to understand the beneficial effects of consuming ACV on heart health, animal studies look promising. Now that you know ACV offers some pretty great health benefits, you’re probably wondering how to get more of it into your daily diet. The best way to incorporate ACV is to simply replace red or white wine vinegar with ACV instead. This means making salad dressings with it, using it in your cooking or making mayonnaise. Some people also like to dilute a little ACV in a glass of water and drink it as a healthy and refreshing beverage. The most common doses in this form range from 1 to 2 teaspoons to 1 to 2 tablespoons per day. I’d also like to mention that ACV has some wonderful non-health related benefits for people who like to live as green and natural a life as possible. ACV can be used as a hair conditioner, and is often used in skin and dental care. Also, ACV makes a great cleaning agent when mixed with warm water. At the end of the day, apple cider vinegar does offer some wonderful health benefits. 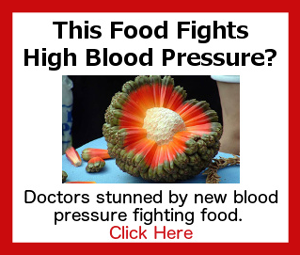 Though it may not necessarily be the “cure all” your grandmother thought it was, it is very effective in controlling blood sugars, reducing the risk of heart disease, and helping people lose weight. Also, human studies still need to be conducted to determine whether ACV may also play a role some day in fighting cancer. I would love to get yo? Sorry about my tardiness. We have been gone without an i-pad. ACV is fabulous and mixed with a little of my home grown organic lemon juice and stevie prevents UTI. I do need to warn people that swallowed straight the vinegar will damage tooth enamel. Be sure to dilute it half and half with olive oil or very pure water. God bless you all! Thank you, thank you! I am 82. I look, act, and feel not even 60. I use apple cider vinegar with olive oil, and minced garlic on my home grown veggies every day. I take no meds and I have great blood pressure. Thanks for the comments re HEALTH ISSUES (ACV,ER,HBP ).